Well here we are again. 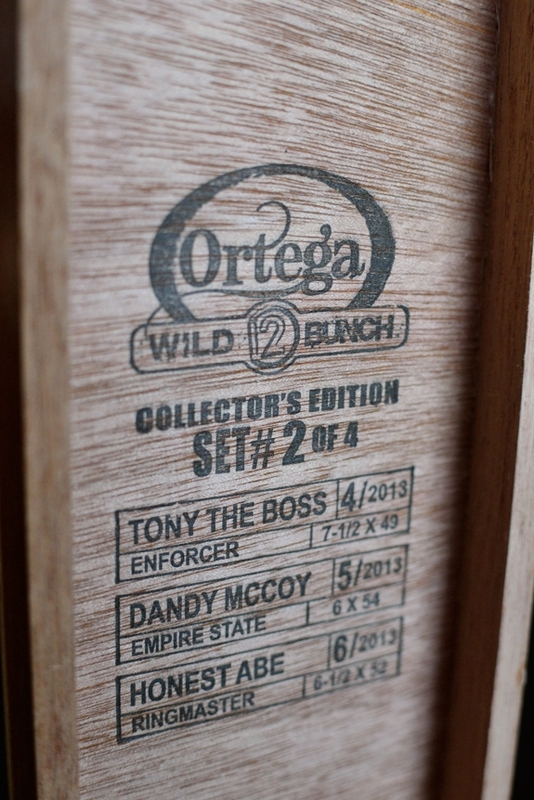 Eddie Ortega made a huge splash last year when he separated from EO Brands to start his own venture, “Ortega Cigar Company”. 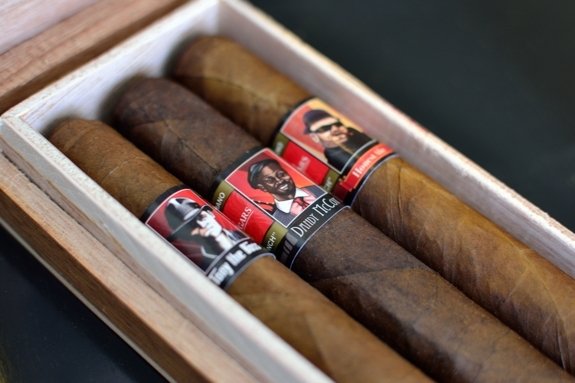 Since then he has released the Serie D Maduro, The Serie D Natural, and the Spec’s Exclusive El Conejito Tubo. This year, he made big news again by announcing that he will be releasing 12 more blends, one each month over the course of this year. The first three in the series were labeled as the Big Bad John, Iron Mike, and Island Jim. Each blend represents an actual real, live, person that Eddie has met along his cigar manufacturing way. We all know how some of us cigar folk tend to stand out. Anyhow, you can check out my series review of the first set of three here. Well now as we are quickly closing in on 2013’s “halftime”, Eddie has released his second set featuring “Tony the Boss”, “Dandy McCoy”, and “Honest Abe”. These will be the releases for April, May, and June. I reviewed each of these with only water as a pair. Since I only smoked one of each of these I didn’t want to cloud up my palate with something that may not have paired well. That being said, let’s get to the good stuff. Prelight: Whoa, whoa. An “A”?! Well, there is a commitment! This cigar is a BEAST!! Be ready to set aside some time to take this thing down. Outside of the obvious characteristics, the cigar is gorgeous sporting a light, milky brown Rosado wrapper with a hell of a lot of oil shimmering off the leaf. This sucker is built like a tank too as it barely has any give as I squeeze it between my fingers. The wrapper is real smooth with some larger veins running through the body of the cigar. Flavors: The Boss leads in with some slight black pepper which fades very quickly leaving you with a milky, malt and sweetness overlying some earth and cedar flavors. As the experience progresses some cinnamon and leather begins to find it’s way into the mix while the malt dips out. The final third of this cigar is where it really begins to shine as the cedar ramps up greatly with lots of sweetness and spice as well as a huge jump in body. Burn/Draw: Well it took 2 hours to take this beast of a cigar down. 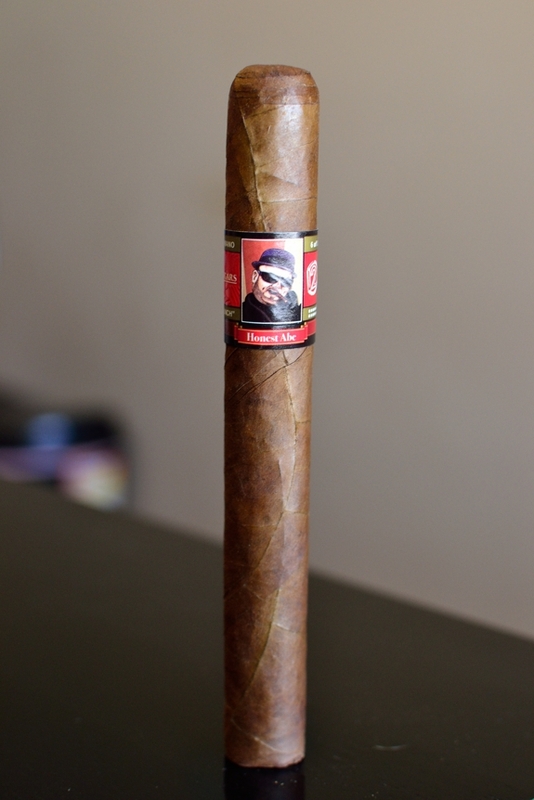 I smoked a bit quickly too so you may want to set a good amount of time aside before committing to this cigar. I ran into a few waves that required a bit of attention from my lighter but that’s to be expected from a cigar this big. I didn’t have to relight at all. Thoughts: First and foremost, I didn’t walk away from this cigar light-header, with a nicotine kick, or and harshness at all. That takes some expert blending hands and Eddie nailed it. While I’m not a big fan of the “A” format, I love having them on hand for celebrations or special moments and at this price point, this one will definitely find it’s way into that rotation. Prelight: First of all, I love this size. I have been boasting about how not enough blends out have this elongated box-press format. It fits so nicely and comfortably in the hand while almost always producing a near perfect draw. Along with the great format the Dandy McCoy sports a beautiful wrapper. This thing is extremely dark and toothy and feels almost identical to a cat’s tongue while still containing enough oils to get a nice reflection. 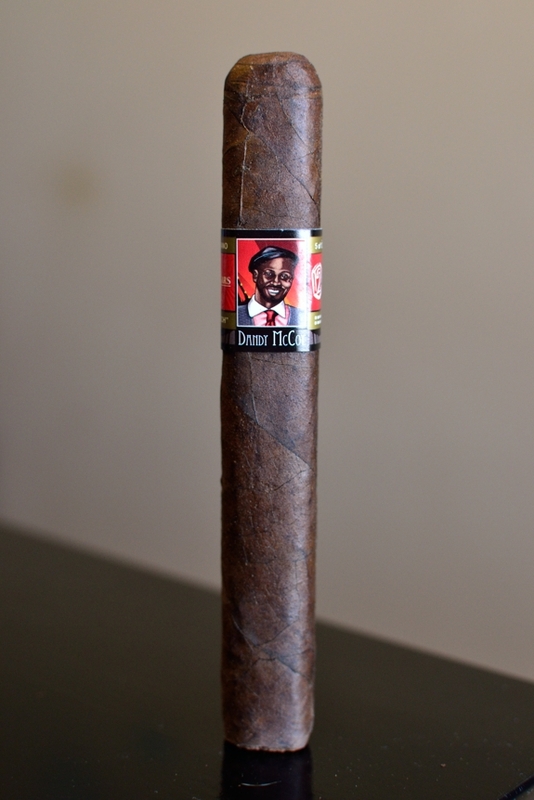 Flavors: Right off the bat this cigar starts out with a ton of sweetness, lots and lots of milky chocolate, smooth tobacco, and just a touch of spice. As the cigar burned along the milk chocolate just keep ramping up as the pepper faded out and cedar and spice slipped it’s way in. The sweetness remained a big factor the entire experience. Burn/Draw: As far as burn goes this bad boy was razor sharp, and burned dead even the entire time. No touch ups, no relights. It burned pretty slow too. It took me about an hour and a half to take this guy down to the nub. Thoughts: So far, out of the six, this has been hands down my favorite. I’ve always been a sucker for Connecticut Broadleaf and the size just puts it over the top. Lots of sweetness, body and strength without being too overpowering or too strong. That’s a fine line and hard to balance out but Eddie nailed it with this one. BUY THESE.. like… NOW. Prelight: The Honest Abe starts out with a beautiful, shiny, oily wrapper. Each time I touch this stick a bit of oil gets transferred to my fingertips. There are a few larger veins, but nothing too significant. The wrapper on this cigar feels a bit delicate but it is as smooth as silk while the body of the cigar is extremely firm. Flavors: I thought the Honest Abe would start out all kind and mild, but looks can be deceiving. The cigar started out with a quick burst of strong, black pepper before it quickly faded away leaving a nice, smooth balance of cedar, spice, honey and natural tobacco. None of the flavors were overly significant, but mixed together it made for a nice balance of flavors. A bit of sweetness began to creep in as I reached the halfway point while a lot of the cedar began to fade away. The cedar, honey and sweetness stayed consistent throughout the experience. Burn/Draw: The burnline was pretty thick on this one and despite a few waves, it only required a touch up here and there. Never any relights. 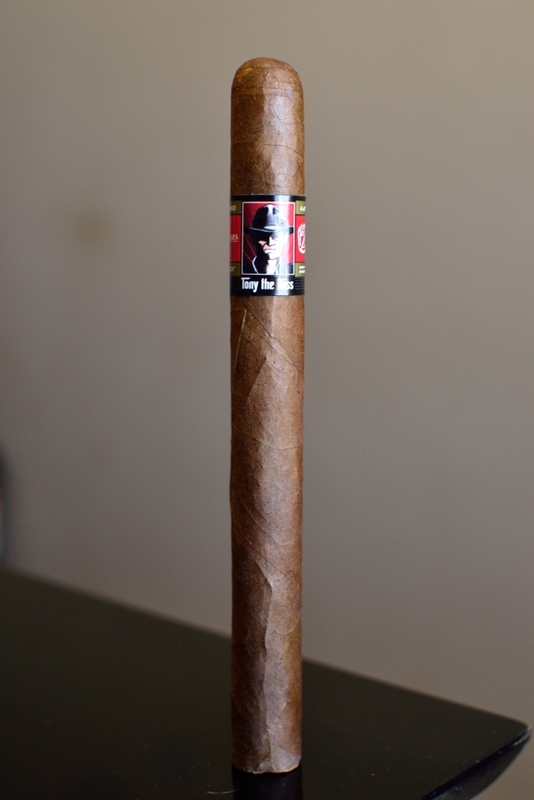 Thoughts: This was a solid cigar, especially if you tend to fall on the mild side of cigars. To me, I felt it needed a little more “UMPH” to get my attention. Then again, that’s strictly subjective since I tend to chase after more stronger, bolder cigars. On a side note, I was super glad to see Abe creep into this lineup. 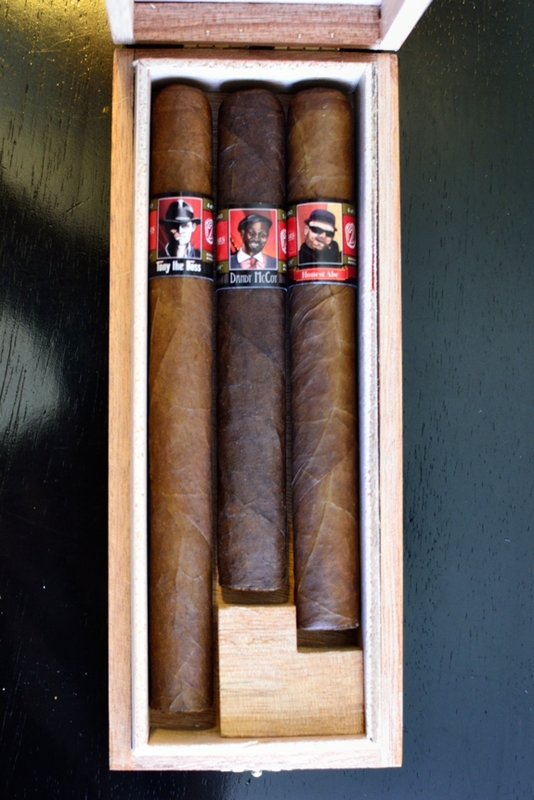 Those who don’t know, Abe runs the Smokeinn shops and has been a huge supporter of not only this blog, but just about anything and everything having to do with cigars. P.S. I don’t think I will be publishing a review next week. That’s right, it’s going to be a Jeremy and Daniel takeover. I will actually be heading to Nicaragua to join many of the other bloggers as well as the Drew Estate team on a Cigar Safari tour! I will be sure to come back with a full report. Thank you for the reviews, I have been buying 5pk’s of each release (except for the Big Bad John, that sucka is just too big, but after smoking my only one I am reconsidering.) Anyway,. I just placed my order for “Tony The Boss” yesterday. Sounds like Island Jim & Dandy McCoy are the winners so far. I plan on smoking an Iron Mike and Island Jim next week on vacation. Absolutely, those have been my 2 favorites out of the bunch. Yep, that’s the word around the campfire about those 2, looking forward to them both, also looking forward to the end packaging 1 or 2 of each in a box….not sure how I missed that before, but that will be a nice addition to the humi. Thanks for the review Tony! Have a great time at cigar safari! Can’t wait to hear about what DE estate has up their sleeve, maybe you will be able to report back about the Kentucky Fire Cured that sounds so unique. Have fun and don’t drink the water! Thanks Gabe! I will look into that for sure. I’m very curious about them. I haven’t had a chance to try any of this series yet, but I wish #4 was “Tony the Texan”. I would buy that! 🙂 How does the Dandy compare to the Serie D Maduro? HAHA! I would too! It was close to the Serie D Maddy matching up with the crazy chocolate flavors but this one had a lot more body, spice, and strength. Great line review I can’t wait to get my hands on these bad boys I have heard so much about them Hope you had a great trip I followed it as much as I could.